The Great Lakes are known for their beautiful coastlines and great fishing and boating. In fact, Lake Erie is Ohio’s top tourist destination. But more than that, Lake Erie provides drinking water for three million Ohioans and jobs for hundreds of thousands of families across the Buckeye state. Issues affecting our lake are very important to me and they’re very important to Ohio. I’m Co-Chair of the Senate Great Lakes Task Force, which is a bipartisan group of senators who work on policies to help protect the Great Lakes. In 2014, we saw the impact of the worst recorded harmful algal bloom in Lake Erie, which contaminated the Toledo water system and left more than 500,000 residents without safe drinking water. That same summer, my bipartisan bill to combat harmful algal blooms was signed into law. It established a program that researches, forecasts, and responds to this problem. My bill, for the first time, directed the agency to prioritize its efforts on monitoring harmful algal blooms in fresh bodies of water, such as Lake Erie. 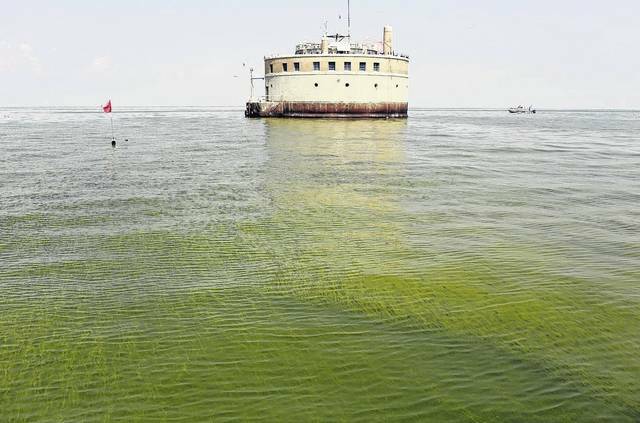 Just last week, because of this law, the National Oceanic Atmospheric Administration had the resources to use satellites to predict that parts of Lake Erie will again experience significant harmful algal blooms this summer. These predictions help us prepare for, and address, the threat of harmful algal blooms, and I have introduced legislation to reauthorize this program. That legislation is moving through the Senate, and I hope to see it pass soon. While we have made good strides in preparing for, and reducing, harmful algal blooms in the Lake Erie, this recent prediction underscores the need to continue working to ensure programs that protect Lake Erie, such as the Great Lakes Restoration Initiative (GLRI), remain fully funded. One study suggests that GLRI generates more than $80 billion combined in health, tourism, fishing, and recreation dollars, and it increases property values across the region by a total of $12 billion. It’s a public-private program that’s delivering results and making a difference in the lives of everyday people. Last year, when President Obama wanted to cut funding for GLRI by $50 million, I led the successful effort to ensure the program was fully funded. This year, after President Trump proposed zeroing out the program, I led a bipartisan letter to the administration strongly urging full funding in the upcoming budget. And we were able to secure that full funding in this year’s budget. I will continue the fight as Congress puts together the budget for next year. Last year, four of my bills were signed into law to better preserve the Great Lakes and provide common sense solutions to improve the lives of Ohioans. These laws reauthorize the GLRI, stop contaminated dredge from being dumped in Lake Erie, upgrade infrastructure and health programs to reduce lead in water supplies, and restore fish and wildlife populations in the Great Lakes. We are building on successes over the past several years and transferring resources back to our communities. As I visit cities across Ohio, I can tell you that the results are real. In Dunkirk, I met with local farmers who are using GLRI to deploy cutting edge conservation practices on their farms to improve water quality while supporting sustainable farming practices. They are doing that by dramatically reducing the use of fertilizer that fuels the algal blooms. In Toledo, I saw a GLRI success story at the restored wetland at Maumee Bay State Park and the University of Toledo Lake Erie Center. They are working to keep nutrients from entering the lake to prevent pollution on nearby beaches and large-scale algal bloom outbreaks like the one in 2014. And in Cleveland, I joined the Port of Cleveland leadership to discuss the importance of GLRI for their efforts to keep the water clean. The Great Lakes constitute the largest freshwater body in the world. I will continue to fight for the preservation of these precious resources and programs that positively affect so many Ohioans. The City of Toledo water intake crib is surrounded by algae in Lake Erie in this August, 2014 photo. The impact of the worst recorded harmful algal bloom in Lake Erie left more than 500,000 residents without safe drinking water.